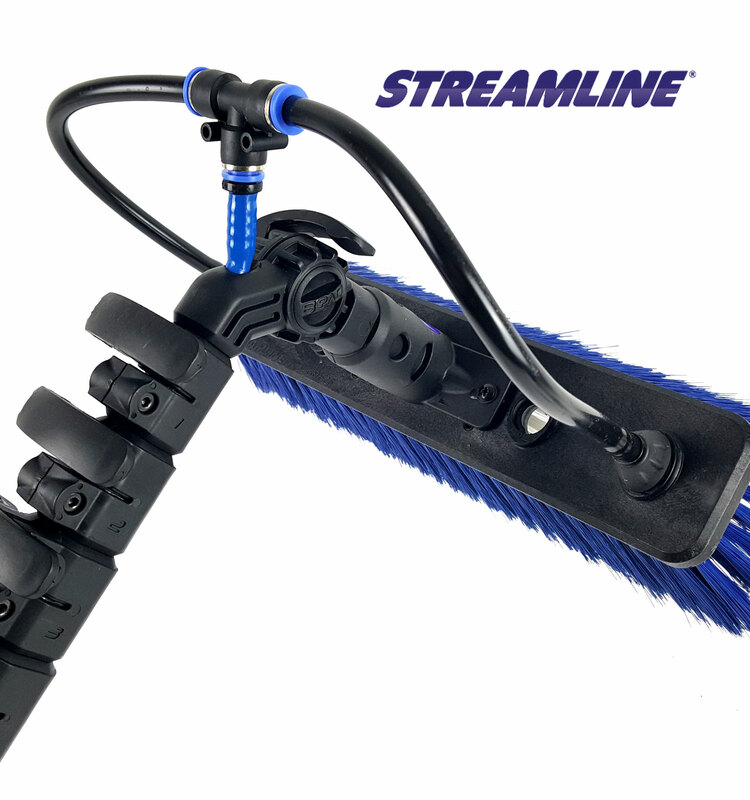 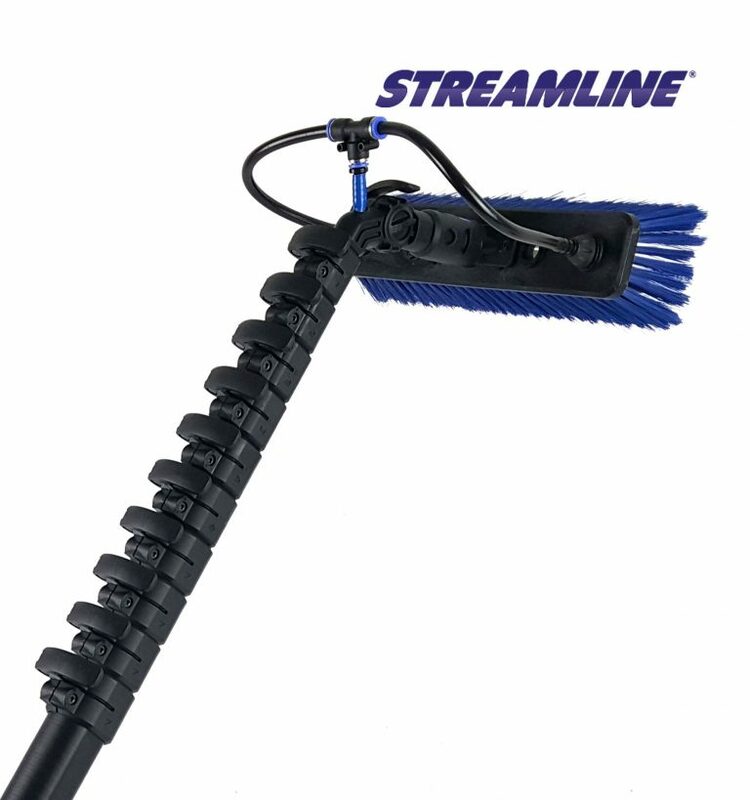 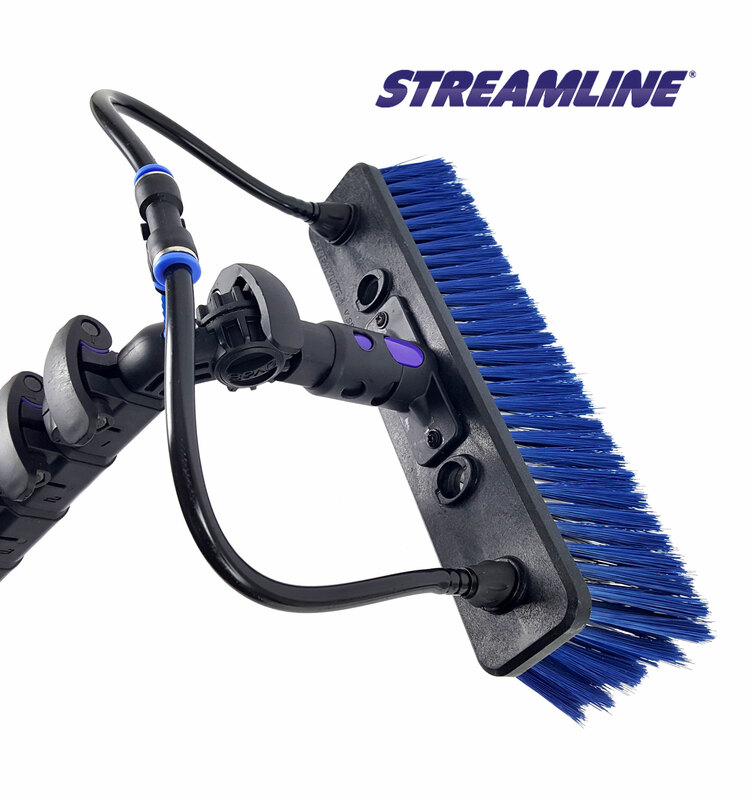 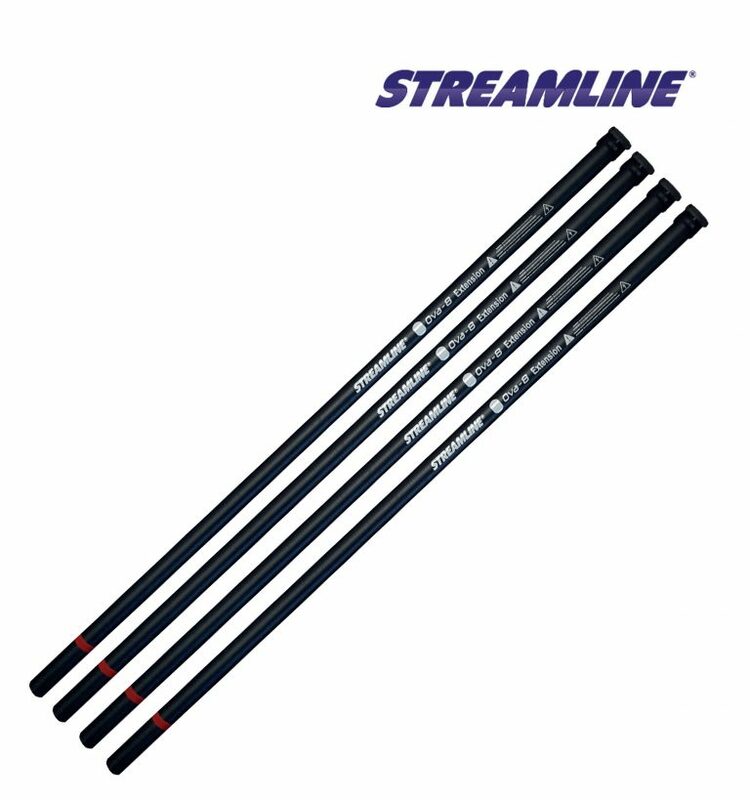 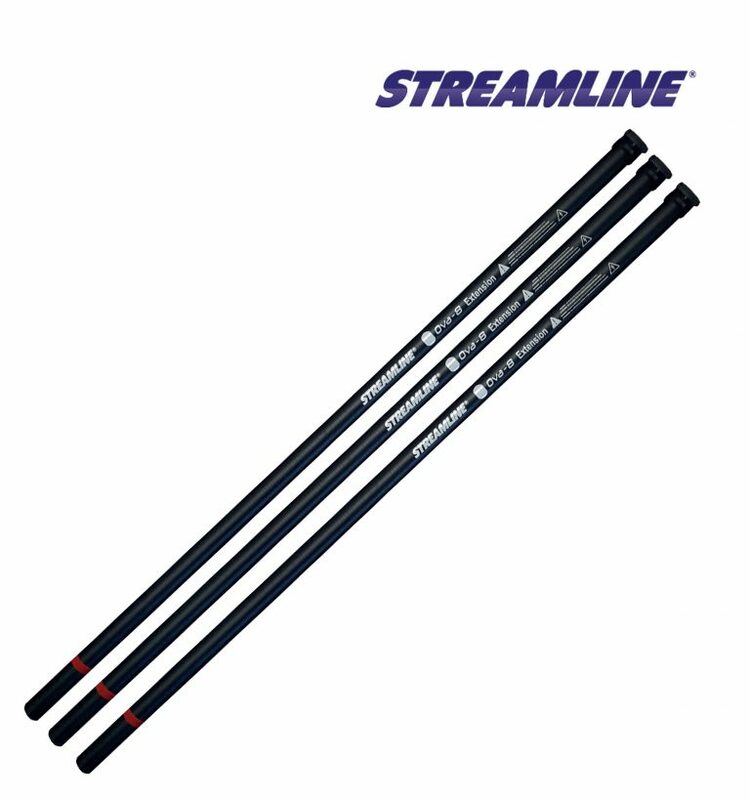 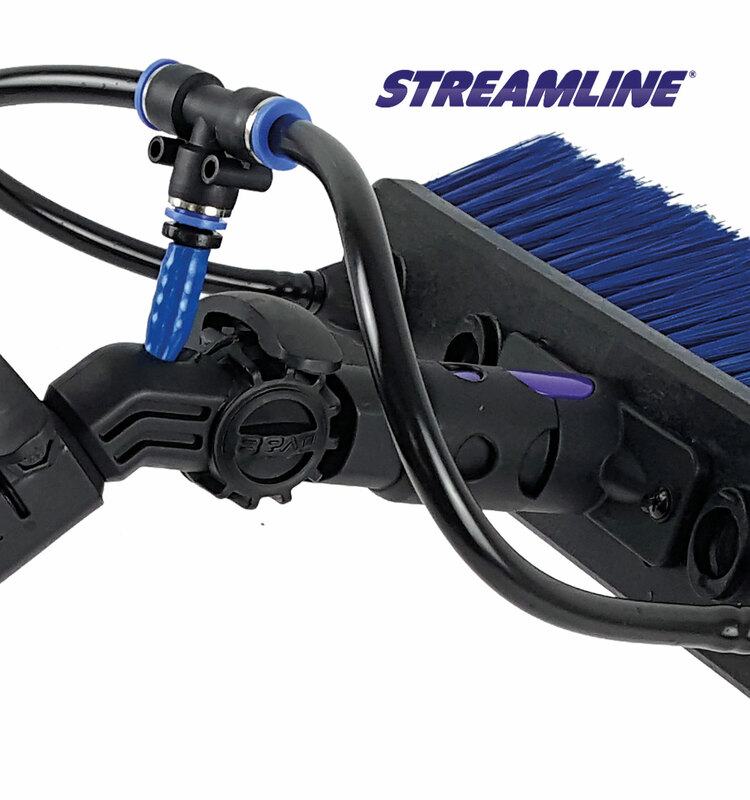 Each STREAMLINE® OVA-8 pole includes our adjustable nylon gooseneck, tubing, a STREAMLINE® double trim brush and a male hose coupling of your choice! 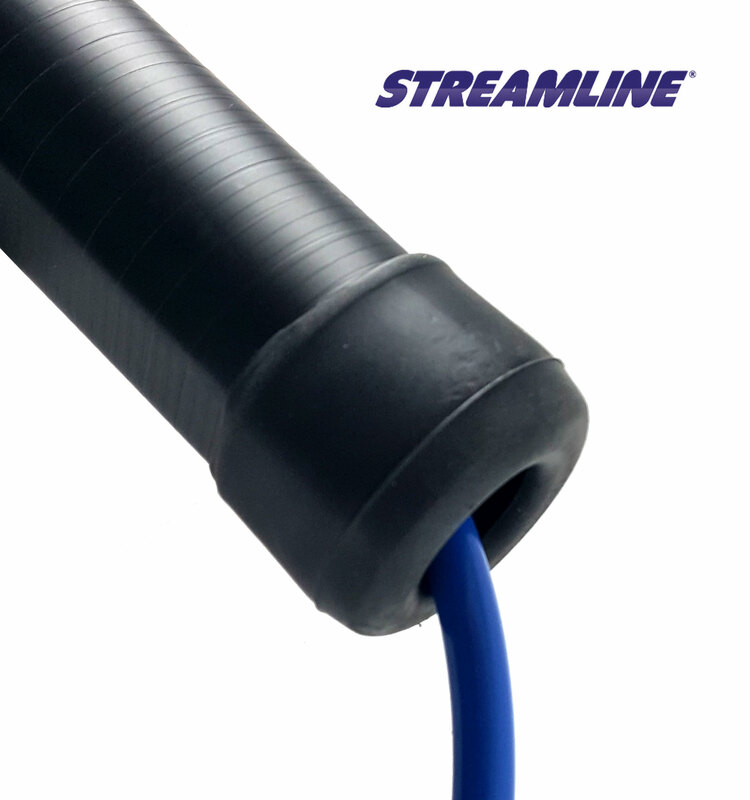 When designing an anti-rotational oval shaped pole, it was discovered that an additional feature was provided - stiffness. 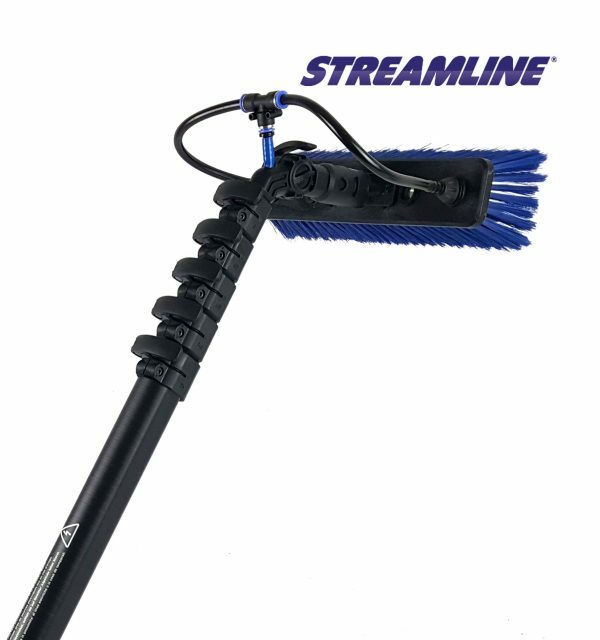 The two flat sides of the OVA-8 telescopic pole add more stability and therefore more control for the operator, a huge “safety” plus. 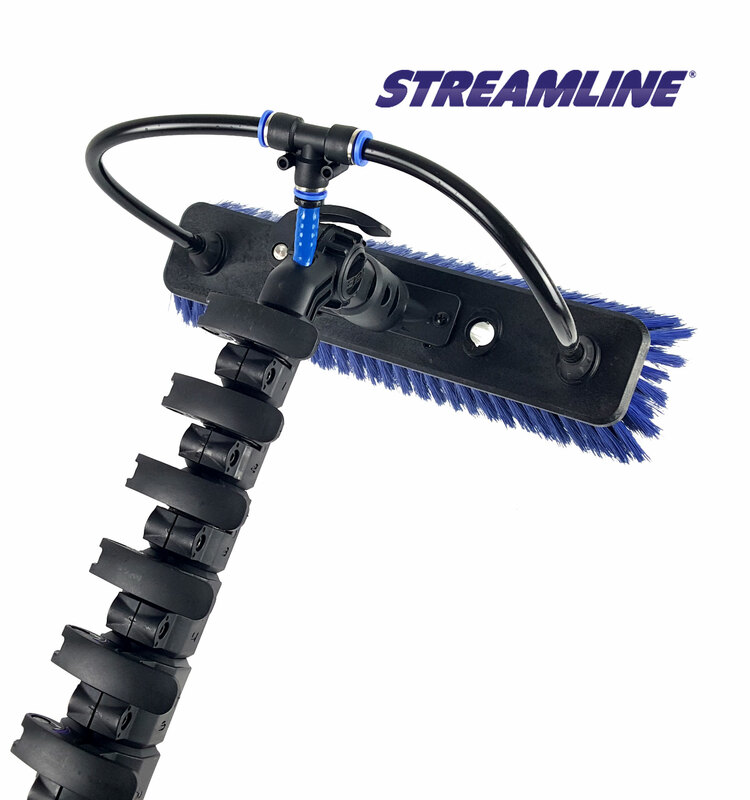 Any experienced operative will tell you how dangerous and annoying a spinning pole section is. 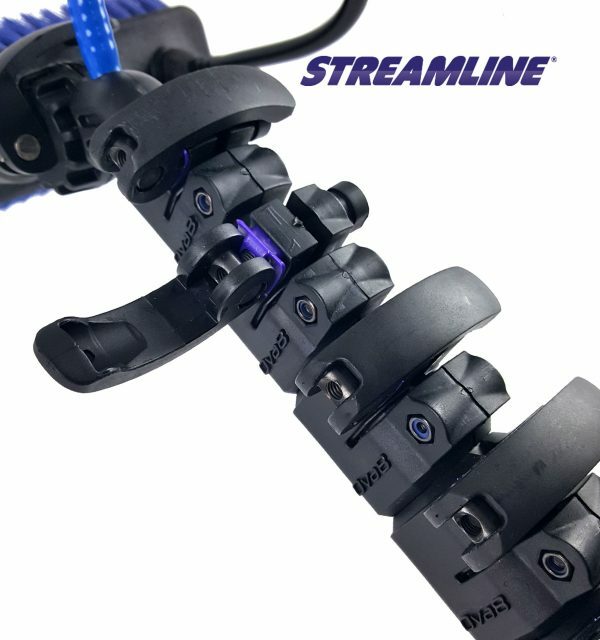 These flat sides will cancel out that “whipping effect” either from moving a pole at height from one window to another, or ‘bouncing off the glass’ motions. 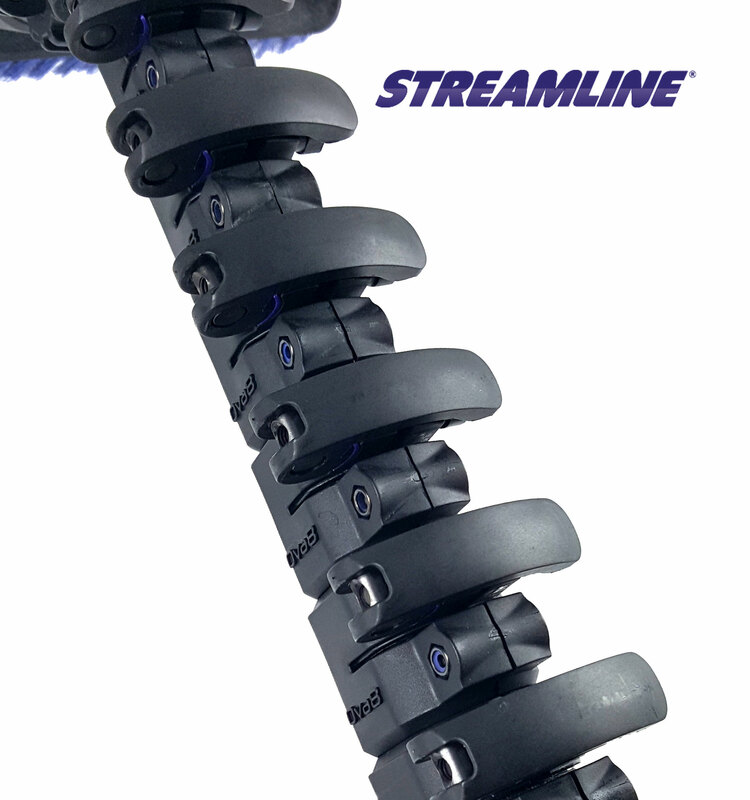 Operators will be more productive and work safer - both for themselves and others around them.